Car accidents are sudden and can be extremely traumatic, especially if you or another person suffered an injury or died during the incident. Many people experience shock during the initial aftermath, but as things progress and the recovery process begins, a flood of different emotions may overwhelm you. 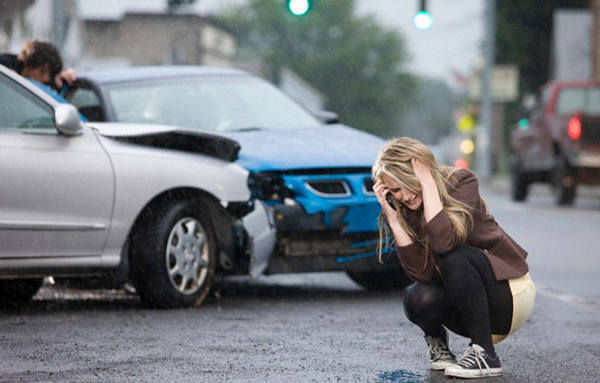 If you’ve been involved in an automobile accident recently, you might be feeling alone and confused by your various emotions. However, what you’re experiencing is probably very normal for someone in your position. In fact, here are the some of the sentiments almost everyone experiences in the days, weeks, or even months after a serious accident. As the shock slowly starts to ebb away after the accident, most people begin to sink into a state of emotional turmoil. You may find yourself shaking your head in disbelief or thinking to yourself “no, this couldn’t have happened.” Feelings of uncertainty may hit you, and you might even start to experience uncontrollable mood swings because your brain is struggling to cope with the nerve-wracking incident. If you are feeling afraid or shaky, even hours or a few days after the accident, don’t worry: it’s perfectly normal for your mind and body to react this way. You may even experience denial and shock if you were not the driver involved in the accident. Passengers and witnesses frequently report emotional symptoms. Although not everyone experiences frustration after an accident, many feel anger at the drivers involved or even at the outside factors that influenced the event. If you find yourself snapping at others irritably, this may be because your body and mind are experiencing a significant amount of stress. Try not to let your agitation affect those around you or make the situation worse than it is. Take deep breaths in an effort to calm down, then channel your anger into a more productive focus. There are several steps that need to be taken after a car accident, especially if you need to hire legal representation or deal with auto insurance companies. Let those be your first priority instead of expressing your anger. In the days or weeks after the incident, you may start to reevaluate your own role in the accident and feel guilty about your actions. Even if the accident was in no way your fault, you may start to feel shame because you were unable to prevent it from happening. Beating yourself up, harboring feelings of guilt, and asking yourself “what if?” are all common aspects of this stage. However, it’s important to remind yourself that accidents often happen regardless of whether or not you were in control. Be realistic and avoid sinking into the guilt. If your feelings of self-blame are causing you to feel distracted, tired, irritable, or worried, the best way to deal with the issue is to openly discuss it with others. Start visiting a counselor or ask to speak with people you can trust, like friends or family. Outsiders will be able to ease your burden and help you understand how to move forward without continuously struggling with guilt. Even though the danger has passed and your life has continued after the accident, your brain may struggle to shake off memories of the event. Studies have found that individuals who have been involved in a serious motor vehicle accident may be at a higher risk of developing psychological problems like Posttraumatic Stress Disorder (PTSD). Even minor accidents can cause long-term anxiety, as well as fear when it comes to driving or riding in a car. If you continue to struggle with nerves, flashbacks, or fear after an accident, you may need to seek out psychological help. Keep in mind that it can take up to a year for the symptoms to fade after an automobile accident, so don’t worry about feeling like you’re overreacting, even if others tell you that you are. Additionally, it’s important to realize that not all psychological problems crop up immediately after the incident. You may not start experiencing flashbacks or anxiety for months, and that delayed reaction isn’t uncommon. Many people start to withdraw from their social circles and feel isolated in the aftermath of a severe accident. This often occurs when the posttraumatic anxiety goes untreated for too long. If you feel that you are sinking into depression, are lonely, or are experiencing sadness without cause, you may need to look into counseling to help you recover. Depression is common in the wake of an accident, but fortunately, it’s also treatable if you seek out professional assistance. Whatever you do, don’t try to face the problem on your own or hide your emotions. That will only lead to increased feelings of uncontrollable sadness and isolation. Until there are self-driving cars that can prevent human error, car accidents will continue to be one of the most common causes of injury and psychological trauma. If you’ve been involved in one, you might begin to experience feelings of denial, anger, guilt, nervousness, and even depression. These are all emotions frequently felt by the survivors of accidents, so stay in tune with your mental status and watch for the signs of psychological distress.